The prologue of the novel confused me a little. 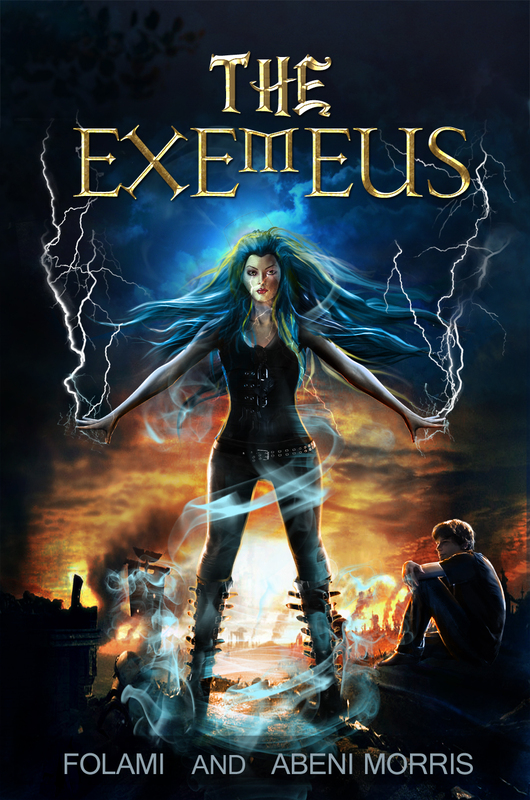 I thought that The Exemeus would be a fantasy novel similar to Daughter of Smoke and Bone (okay, maybe it was the blue hair), but almost immediately in chapter one we meet Dephon, a high schooler who is terrorized by the football team and failing math. The way that The Exemeus was able to stand apart - nay, outside - of the typical YA genre made the story something unexpected and fresh. Yes, there was dystopia, but high school was still high school, and it sucked. What reminded me of The Neverending Story in The Exemeus is that when Dephon began reading The Exemeus (the book that the story takes its name from), he could see past events as he read them. (There was also an annoying female associated with the book, but that's about the extent of Mallea's resemblance to the Childlike Empress.) He was able to see his mother's own awkward high school moment when she woke up a beautiful Asian one morning after going to bed a dirty blonde. (No, she wasn't literally dirty! It was her hair color! *sigh* Nevermind.) I would have been hard-pressed to take it in stride like she did. Of course, there was a lot more too The Exemeus than that, but I snickered at it. A lot. The one problem that I did have with The Exemeus is that it was so long. Don't get me wrong, I love a huge book as much as the next person, but I think this one would have been better served to have some of the content shaved or split into another volume. The names also killed me on the inside, just a little bit. I try not to complain about it too much, but some of the names in fantasy kill me. Let's take Hyalee for instance - my brain wanted to read it as Haylee, and then it would go crazy because it's spelled wrong! *flails* And the twins, Singleton and Dupleton... *stares* Really? Yes, I know I'm being nitpicky, but it took away from my enjoyment of the book. So weird names and it being über-long aside, I think The Exemeus was a great read. If you're looking for something unlike most of the options being offered in the book world, I suggest you pick this one up!. Folami and Abeni Morris are a sister-sister writing team. Together they wrote (and rewrote) The Exemeus, somehow managing to accomplish it without murdering one another. Despite their facial similarities, tendency to finish each other’s thoughts and stick up for each other constantly, no, they’re not twins and thus deserve their own individual bio. Folami grew up in the tiny city of San Mateo Ca, where nothing ever happens and no one ever leaves. She went to Xavier University for undergraduate, getting her B.A in physics and her B.S in Biology. After graduation she returned to California, to live in an even smaller city, where even less happens, Antioch, CA. During this time she escaped the monotony by hanging out with her imaginary friends Hyalee and Dephon, and by writing The Exemeus. She finally escaped to Queens NY and now realizes that quiet and tiny aren’t so bad. You can find out more about Folami & Abeni on their Website. Make sure to check out The Exemeus Scavenger Hunt, where you can win a Kindle Fire or $150! The first stop is at My Guilty Obsession, where you can get the first clues on this incredible journey for an amazing prize! The Scavenger Hunt starts on Monday, August 26th and runs through Friday, August 30th. Chances to win are through midnight on September 1st. Buy your copy of The Exemeus today, if you haven't already! 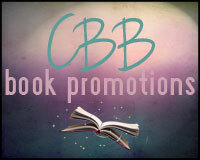 To satisfy FTC guidelines, I am disclosing that I received a copy of the novel from the publisher or author through CBB Book Promotions in exchange for an unbiased review. It has in no way affected the outcome. All expressed opinions are awesome, honest, and courtesy of me. Thanks so much for hosting a tour stop and for giving this one a try, I'm glad you enjoyed it!